The price point was $25, and the company produced several hundred trees with only a hunch that they would sell. The sad little tree Charlie Brown picks out in the 1965 A Charlie Brown Christmas worked against the popularity of the aluminum tree. 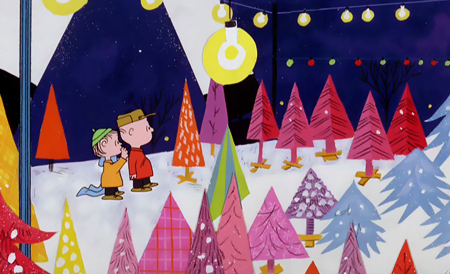 Unfortunately, it was the 1965 A Charlie Brown Christmas that helped fuel the decline of aluminum trees. Despite Lucy’s instruction to Charlie Brown to “get the biggest aluminum tree you can find” and “Maybe paint it pink,” Charlie Brown buys the sad, but very real, tree, and doomed the popularity of aluminum trees. By 1969, Evergleam had stopped producing their trees, and by the early 1970s, aluminum trees were virtually non-existent on the market. 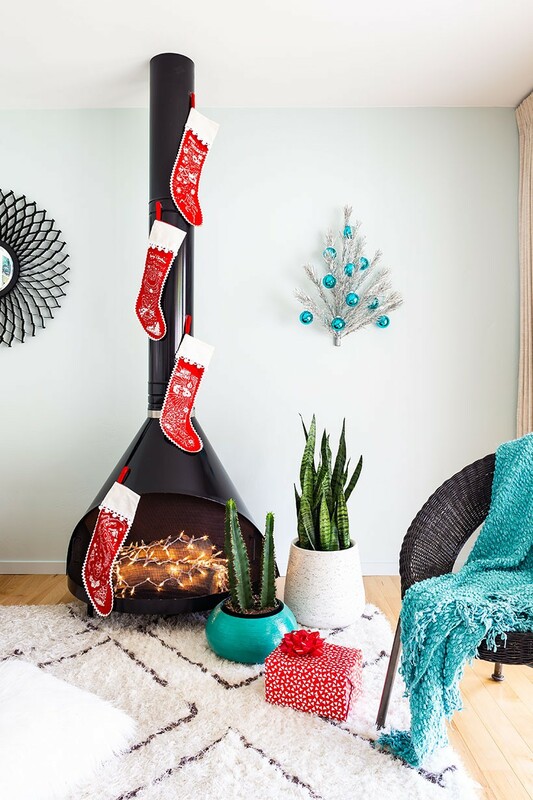 However, they’ve come back in style, appealing to vintage collectors, lovers of Mid Century Modern design and those who appreciate the long lifespan and low maintenance of artificial trees. 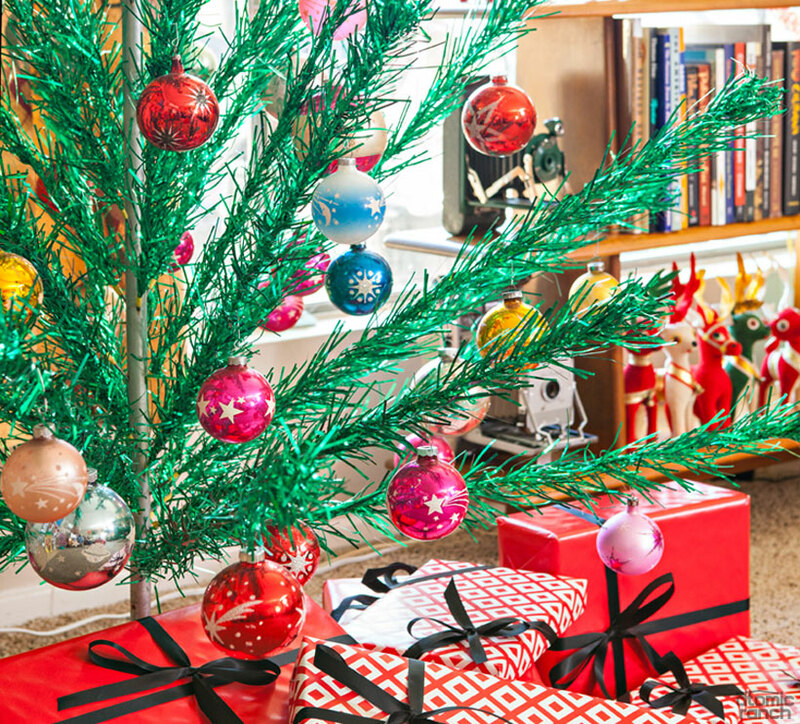 The aluminum Christmas tree is back in style as a Christmas MCM collectible. Photo by Bret Gum. Make sure the tree comes with paper sleeves to protect the branches during the rest of the year when it’s disassembled and packed up in storage. The cost of a full-size vintage aluminum tree can range anywhere from several hundred to several thousand dollars. Silver tends to be the least expensive, and pink the most expensive—a recent rare pink tree sold for over $3,000. Can’t find one at your favorite flea market or antique store? Check eBay.com and Etsy.com. There are budget options available as well! The popularity of aluminum Christmas trees means that many quality reproductions are on the market. But if your heart is set on a vintage tree, try a smaller size. Trees under 3′ can be displayed on table tops or mounted the wall as a nostalgic piece of holiday art. And don’t forget to pick up a color wheel too. Some companies make them new, and you can get them as low as $35. But if you want an authentic vintage color wheel, they’ll be closer to $100. Look for pieces that come with their original box. They’ll probably be in better condition—the owner who preserved the box will likely have taken good care of the color wheel. 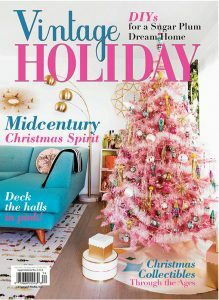 If you like the idea of adding a Mid Century vibe to your Christmas home this year, check out our sister magazine’s annual special, Vintage Holiday. 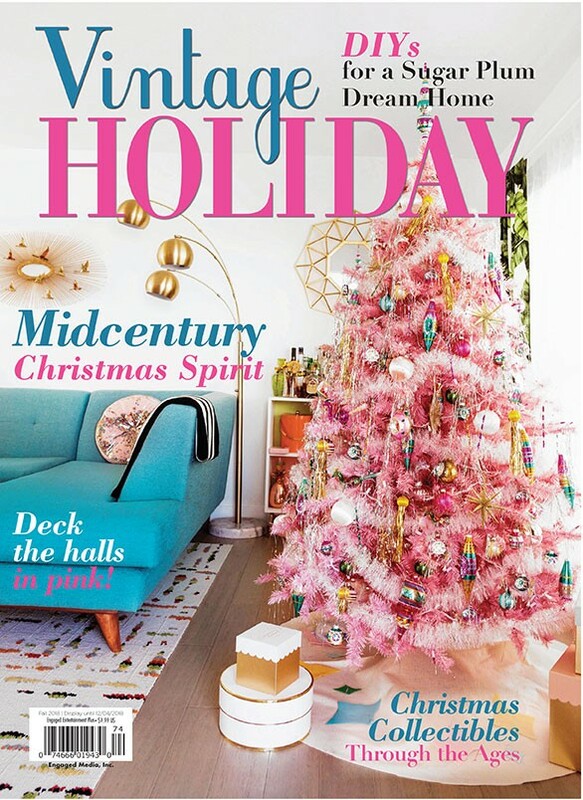 It has information on Christmas collectibles and home tours to get your MCM inspiration flowing.